The ultimate cookie treat. An assortment of fresh baked cookies arranged in our signature basket. 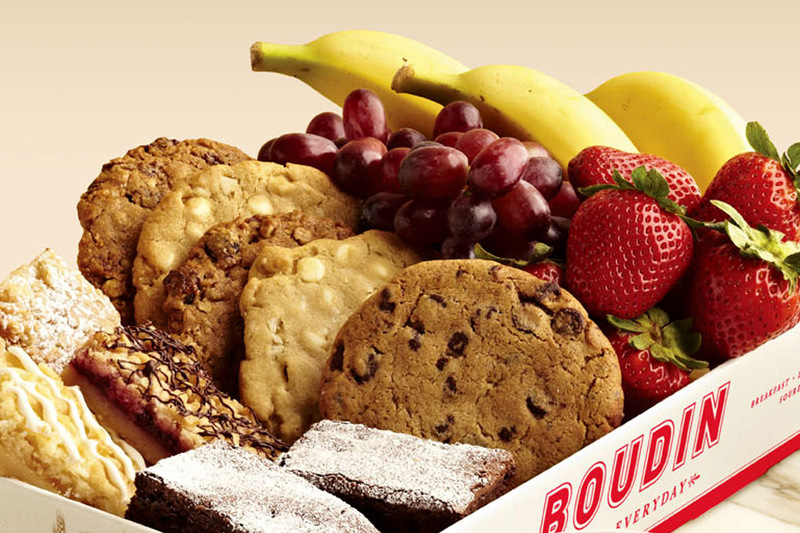 A tantalizing assortment of fresh baked cookies, brownies, and dessert bars. An assortment of seasonal fruits beautifully displayed a great way to make a lasting impression. Add a fruit tray to any breakfast basket or order it alone. An assortment of freshly baked cookies, brownies, dessert bars, strawberries, bananas and grapes make up our Sweets & Treats Break Basket. Perfect for afternoon snacking or when you want to give someone that extra special gift.